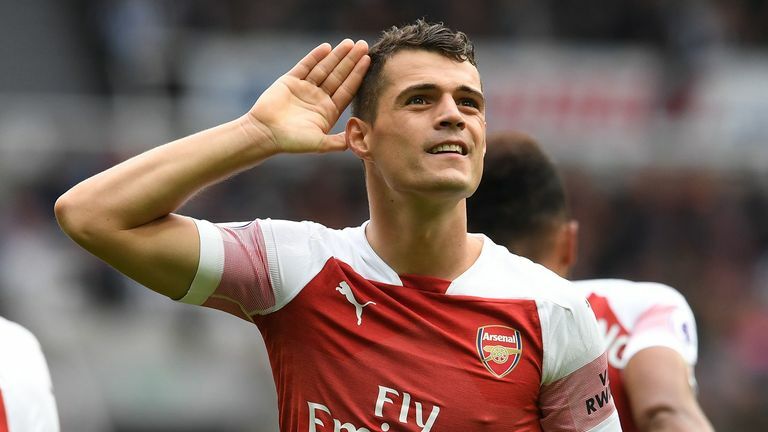 After a lacklustre first-half at St James' Park, Granit Xhaka's stunning free-kick (49) broke the deadlock before Mesut Ozil (58) doubled his side's advantage on his 200th appearance for the club. Substitute Ciaran Clark pulled one back in stoppage time (90+1) but it proved to be too little too late for the hosts as Emery's side held on for all three points. Victory sees the Gunners move up to seventh in the table, while Newcastle, who have just one point from their opening five games, stay 18th. 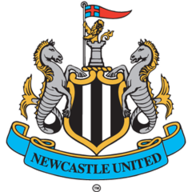 Newcastle: Dubravka (6), Yedlin (6), Fernandez (7), Lascelles (6), Dummett (6), Murphy (6), Diame (6), Hayden (6), Ritchie (7), Perez (7), Joselu (6). Subs: Clark (7), Muto (6), Kenedy (6). Arsenal: Cech (7), Bellerin (7), Sokratis (8), Mustafi (6), Monreal (6), Xhaka (7), Guendouzi (6), Aubameyang (6), Ramsey (6), Ozil (7), Lacazette (7). Subs: Torreira (7), Mkhitaryan (6), Welbeck (6). 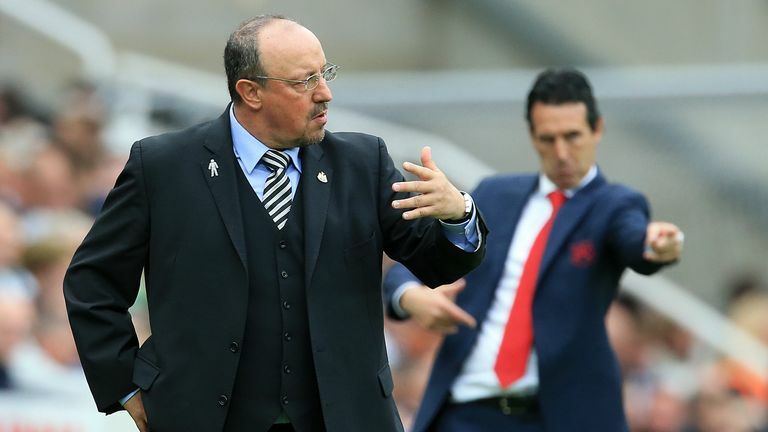 Rafael Benitez's approach had been questioned earlier in the season but against Arsenal, Newcastle started on the front foot. In the ninth minute, Ayoze Perez's pass released Jacob Murphy in behind Hector Bellerin but the winger's cut back could not pick out a team-mate as Xhaka cleared. Murphy had the chance to redeem himself in the 20th minute as Shkodran Mustafi's slip let him in, but Sokratis got his central defensive partner out of trouble with an excellent covering tackle. The visitors slowly grew into the game and the pace of Alexandre Lacazette and Pierre-Emerick Aubameyang was causing the home side problems. Arsenal's best chance though fell to Aaron Ramsey, who, with support waiting, sliced a cross high over the crossbar after being played in by Lacazette. Emery reacted to the Gunners' poor first-half display by sending on Lucas Torreira for Matteo Guendouzi, and it was a move that paid off as his side took the lead four minutes after the restart. 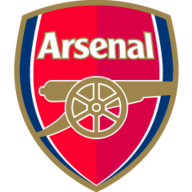 Referee Lee Probert handed the Gunners a free-kick 25 yards from goal after Aubameyang was adjudged to have been clipped by Federico Fernandez and Xhaka curled a left-foot free-kick past Martin Dubravka and into the top corner. The visitors extended their advantage nine minutes later after Lacazette's shot had been blocked, Ozil steered the rebound past Dubravka. Rafael Benitez made three changes from the side that lost 2-1 at Manchester City. Izaac Hayden, Matt Ritchie and Joselu replaced Ciaran Clark, Ki Sung-Yeung and Salomon Rondon, while Jonjo Shelvey was named on the bench after returning from injury. Arsenal were unchanged from their 3-2 win at Cardiff before the international break. Petr Cech kept his place in goal with Bernd Leno remaining on the bench, while Mesut Ozil also remained in the starting line-up. Benitez sent on Kenedy and Yoshi Muto as he looked to rescue something from the game, but it was Clark who pulled what proved to be a consolation goal back with a stoppage-time header from Fernandez's cross. Arsenal have won consecutive Premier League away games for the first time since May 2017. The Gunners have opened the scoring in each of their last 11 Premier League games against Newcastle - only against Southampton have they had a longer run of scoring the first goal in the competition (13 between 1999 and 2012). One point from five games represents Newcastle's joint-worst start to a Premier League campaign (also 1999-00). Arsenal have failed to keep a clean sheet in any of their first five games to a top-flight season since the 1988-89 campaign. All 10 of Arsenal's Premier League goals this season (including own-goals) have been scored by different players. All four of Granit Xhaka's Premier League goals for Arsenal have been from outside the box. Xhaka's opener was Arsenal's first goal from a direct free-kick in any competition since Alexis Sanchez's strike against Middlesbrough in April 2017. Gareth Southgate was in attendance at St James’ Park but it was a frustrating afternoon for the England manager. Jamaal Lascelles picked up an injury in the warm up and was replaced at half-time, while Jonjo Shelvey was an unused substitute on his return from injury. "In the first half Newcastle dominated, but you worried for them because they didn't get a goal. Arsenal got their passing movement going and the game changed with Xhaka's goal. "It was like switching the light off for Newcastle - a procession. Arsenal players started to want the ball, and it was shocking because Newcastle just gave the ball away. That must have infuriated Benitez." Arsenal have been crying out for a no-nonsense defender and Sokratis looks fitting that bill for Emery's side. At St James' Park, he made a couple of key interventions. The first was a crucial last-ditch tackle which got Mustafi out of trouble when his slip had let Jacob Murphy in. The second was another brilliantly timed tackle in the centre of the field which stopped an extremely promising Newcastle counter-attack completely in its tracks. He also won countless headers as Arsenal weathered an early storm to secure all three points. Newcastle are next in action against Crystal Palace at Selhurst Park in the Premier League next Saturday (3pm). For Arsenal, they have Europa League commitments on Thursday (8pm) against Vorskla at the Emirates Stadium before hosting Everton, live on Sky Sports, next weekend on Renault Super Sunday.